IN STOCK - DELIVERY TIME: Order before 2.00pm for 1-2 day delivery (Monday-Friday). 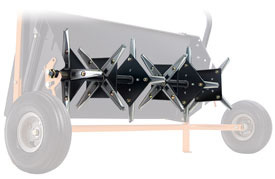 The Agri-Fab 45-0474 plug aerator easily losens soil up to 3" to allow air, water and nutrients to reach the soil. The SmartLINK system from Agri-Fab makes it easier than ever to take great care of your lawn. It's a totally unique system of grooming attachments that is designed to be easy to use, easy to store and easy to afford. Just start with the SmartLINK Master Platform and choose the tools you want for the results you want. Easy assembly means you can finish your yard chores quicker. 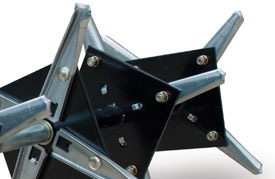 Thanks to a patented locking system, you can change attachments in seconds without tools. The platform and attachments can be stored off the floor in your garage or toolshed saving valuable space. WHY USE THESE SMARTLINK TOOLS? Why does a plug aerator help your lawn's appearance? As lawns age or undergo heavy traffic your lawn's soil will become compacted. This reduces the amount of water, nutrients and oxygen your lawn needs for continued growth. Why does dethatching help your lawn's appearance? The dethatcher will effectively bring to the surface of your lawn the thatch that chocks off the nutrients and water that your lawn needs to keep it full, healthy and green. Why does a curved blade aerator help your lawn's appearance? 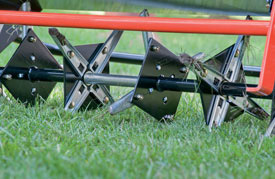 The spiked aerator cuts through the lawn without disturbing its surface. It allows the necessary amount of water, nutrients and oxygen to absorb into the soil while keeping it neat. Why does a poly roller help your lawn's appearance? A flat, even surface keeps your lawn looking healthy and beautiful. Uneven lawn surfaces may prevent equal feeding of nutrients and water to your lawn. Early spring and later summer are the times of the year that the ground becomes compacted and needs to be loosened and refreshed. Early spring and early autumn when too much thatch can block the nutrients, weaken your grass and cause it to fall victim to heat and cold. Throughout the growing season this special tool gently slices into the soil allowing it to breathe properly without disturbing the grass. HOW EASY ARE THESE ATTACHMENTS TO USE? This wonderful attachment is specially designed to attach all SmartLINK attachments. The lawn tools drop into place and are ready to use for easy maintenance. Whether you use one tool or a complete set, all the Agri-Fab attachments can easily be stored on a garage wall. Dimensions: 42" x 13" x 13"
Packaging Dimensions: 42" x 8.5" x 7.5"
Agri-Fab products are covered by a five year limited manufacturer's warranty. For three decades American-based Agri-Fab has been manufacturing quality products for the lawn and garden, as well as fabricating products for various industries. The success of the manufacturing business launched in 1975 exceeded the founders' wildest expectations. 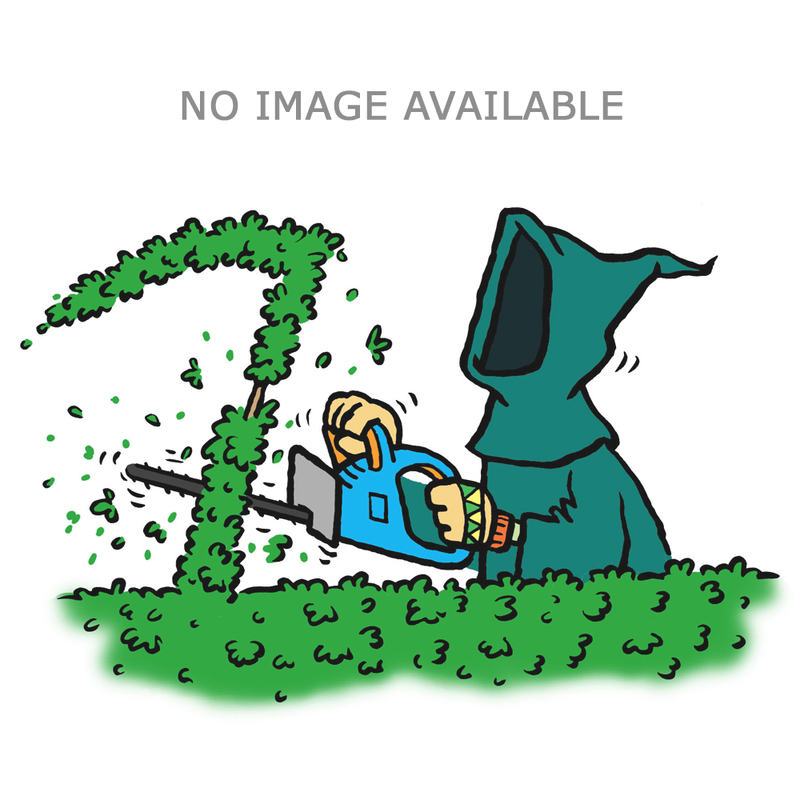 The story began with the idea of developing a new and improved lawn sweeper. Soon, Agri-Fab went on to redesign and manufacture a product that outperformed any lawn sweeper on the market. The result attracted the attention of a major retailer and catapulted Agri-Fab into the position of an industry leader of lawn and garden attachments. Through the period of the early 1990s the business had doubled in size from what it was in the 1980s and doubled in size again in 1999. Fulfilling its mission to provide employment for the people of Sullivan, Illinois, and the surrounding area, Agri-Fab has expanded to include many innovative and feature-rich attachments for the lawn and garden industry, as well as the UTV/ATV market. Agri-Fab attachments are designed for homeowners who want beautiful lawns yet want the job of lawn care to be quick and easy. In order to achieve this objective, Agri-Fab asks you, its customers, how it can improve on its current lawn care products. As a result of this exploratory analysis, Agri-Fab constantly discovers new ways to meet your present and future needs. In addition, Agri-Fab is continually looking to make its products less seasonal so you can get greater value for the attachment you buy. For example, the sweeper has long been viewed as a product for cleaning up leaves in the autumn. Agri-Fab has broadened this emphasis, making the sweeper ideal for spring clean up as well as the removal of summer grass clippings. Above all of this, is Agri-Fab's dedication to building quality and durability into the products it manufacturers. The company is confident that its products are made with the very best components to ensure lasting performance. As proof of this commitment, all Agri-Fab lawn care products carry a three year warranty. From lawn sweepers and spreaders to aerators and trailers and everything in between, there's an Agri-Fab product suitable for the task that will provide you with years of service, as well as make your lawn beautiful and its care easy. Makes nice sized cores\plugs. Considering its just a mechanical action (not a dedicated powered Aerator) it does a good job. A Nice item for the smartlink range.